Developing Perontor 9: We have tiles! Well, I’m now very happy. This has been giving me a headache since i started working on it! Joy. So the next job is getting some terrain on the planet. 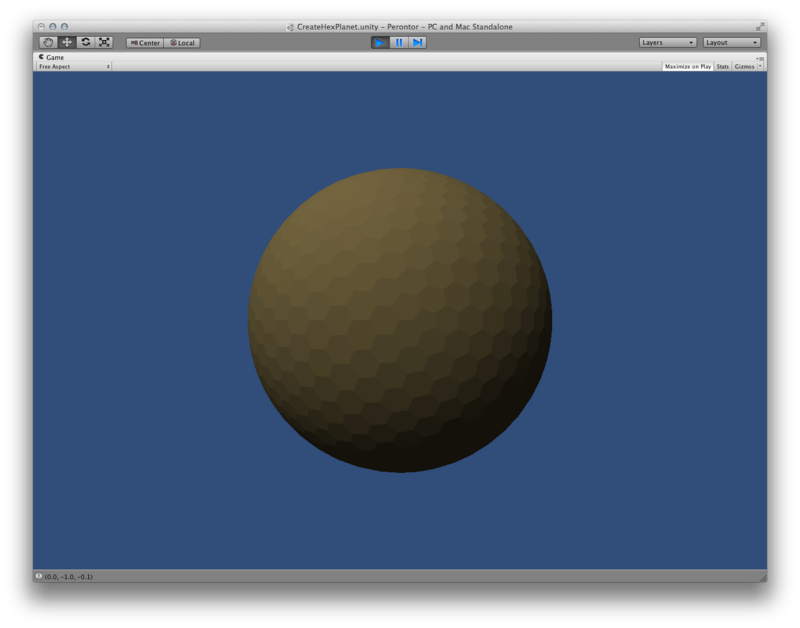 This entry was posted in Game Design and tagged Hex planet, Hex Sphere, unity3d.